5 of the Best Bars in Barcelona that You Need to Visit! 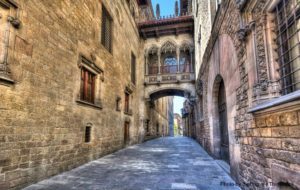 Barcelona is truly the ultimate vacation destination! With excellent dining, one-of-a-kind attractions, and breathtaking scenery, Barcelona contains endless opportunities for fun and excitement. After a thrilling day of enjoying this area’s numerous activities, treat yourself to an excellent drink at one of the best bars in Barcelona! This city is home to all kinds of fantastic places to grab a drink. Discover a few of the best bars in Barcelona and experience some of this culture’s finest (and tastiest) creations! Located within the iconic Gothic Quarter, Ginger is a beloved spot in Barcelona due to its delectable Catalan dishes, incredible music selection, and, of course, wide variety of drinks! One side of Ginger in Barcelona leads to a cocktail bar, while the other leads to a wine tasting bar. This bar’s funky lighting and cozy environment will make you feel right at home the moment you walk in, so don’t skip this wonderful spot in one of Barcelona’s finest and most historic neighborhoods. Without a doubt one of the best pubs in Barcelona, Flaherty’s Irish Pub Barcelona is the ideal place to grab a beer with friends while watching FC Barcelona play on one of the big screen TVs! Their extensive menu of delicious foods and large selection of beer and cocktails will make you never want to leave this spot in Las Ramblas. Taste some authentic and mouthwatering tapas by visiting Ajoblanco, a bar that is also one of the best restaurants in Barcelona! With a comfortable and easygoing atmosphere, this 1970s-styled joint is a great place to enjoy a meal paired with specialty cocktails. They host DJ sessions and live music every week so you can get out on the floor with your friends and dance the night away! One of the most historic bars in Barcelona, Ideal was first established in 1931 as a stylish, classy joint that catered to some of Europe’s most influential and respected figures. Today, this upscale bar contains a never-ending menu of delightfully creative cocktails. 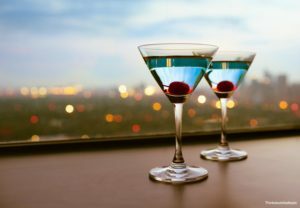 There’s something for everyone here, so make sure to add Ideal Cocktail Bar to your Barcelona itinerary. You’ll feel as though you’ve taken a step back in time when you visit Boadas Cocktails in Barcelona! This bar is rich in history and culture, which can be seen by the ancient, framed photographs adorning the walls and the priceless antique artifacts scattered throughout. 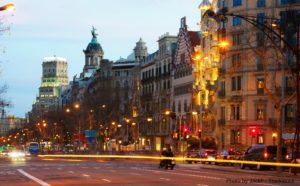 This fascinating gem of Las Ramblas is a wonderful place to spend some time sipping a cocktail and learning about Barcelona’s role throughout history. Come Stay with Us at bizFlats Vacation Rentals for the Ultimate Barcelona Experience! Festa Major de Gràcia: See the Streets Come Alive! The Festa Major de Gràcia is springing up in Barcelona again this year from August 15th through the 21st. 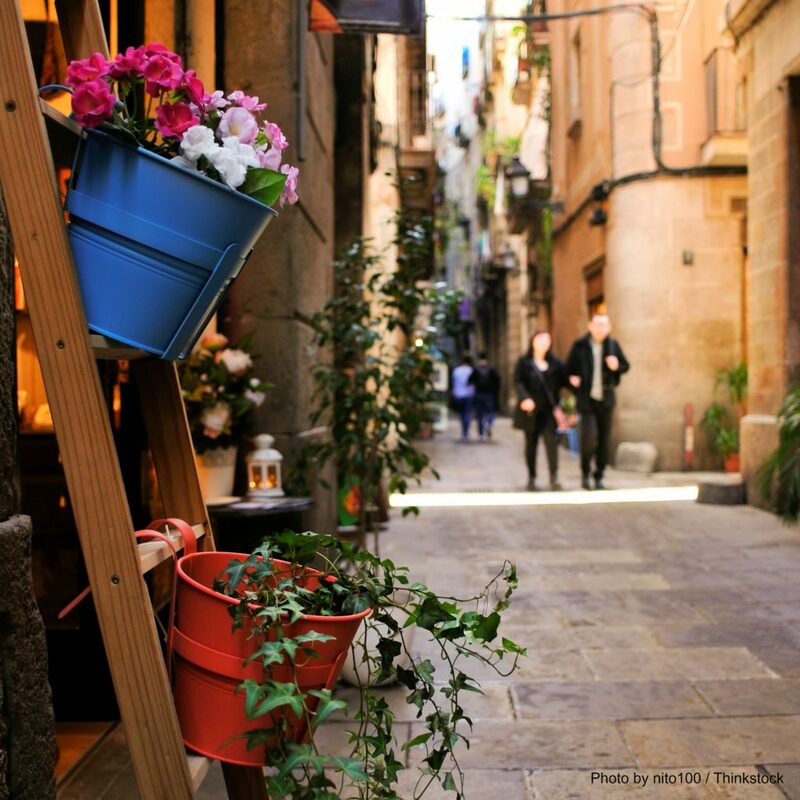 One of the city’s foremost street festivals, this is a wonderful time to visit and experience traditional Catalan culture in one of the most beautiful and quirky neighborhoods in Catalonia. Both an opportunity to learn about Spanish traditions as well as enjoy delicious food and wonderful entertainment, Festa Major de Gràcia is truly an event of the year for many residents who graciously devote their public spaces to celebrating their ancestry, all the while welcoming guests – about 1.5 million of them each year – to share in this annual celebration. Gràcia was once an independent town outside of Barcelona proper. As the city grew it engulfed this small community, but its roots have remained intact over the years through the hard work and commitment of the founding families. A way in which the area has remained such a tight community over the years is by hosting their annual Festa Major de Gràcia. Completely volunteer-led, members of the community have continued, year-after-year, to band together and host this outstanding celebration of Catalan culture in their very own streets. The communal feeling they create is indeed what keeps both residents and visitors returning every year for this event. The main attraction is the outlandish and extravagant decorations that take months of planning, and days of setup before the festival each year. Local business owners and community members devote a lot of time to transforming the neighborhood into different scenes of underwater and Outerspace worlds, or even a zombie hangout. Every evening after sunset these displays light up, making for a beautiful evening stroll or an epic time to enjoy some tapas. The biggest crowds are found after sunset on August 15th as people flock to the streets to witness the first lighting of the year. Don’t miss seeing what worlds will arise at this year’s celebration! Aside from the decorations, which are themselves worth the trip, festival goers can also look forward to tasting many dishes of Catalan tradition, drinking their wines, and enjoying their music that is played right in the street. This festival is completely free, besides the food and drink you might enjoy amid the created worlds, and is a the perfect activity for the whole family. The little ones will love exploring, eating and dancing in this festive atmosphere. More information on this year’s schedule can be found here in the coming weeks, so you can start getting excited for the Festa Major de Gràcia 2016. Being a busy Mediterranean metropolitan city, Barcelona is full of fun, inventive and traditional events like this one. If you have yet to visit this wonderful destination, be it for a holiday or just because you’ve never seen it, don’t wait any longer — start planning your trip now! While looking for a place to stay, be sure to peruse these wonderful short term rentals throughout the city, from the beach to the Gothic Quarter. There is no better way to explore a new place than from the comfort of your very own urban flat. One of the most celebrated qualities of Barcelona’s unique and exotic culture is its incredible cuisine! This city is known for creating some of the finest foods you’ve ever tasted; no matter where you go out to eat, you’re sure to enjoy a meal you’ll likely never forget. Since this food is so amazing, why not take this amazing dining experience home with you? There are countless different places you can go around the city to take a Barcelona cooking class while you’re visiting! You can learn how to prepare some of the most classic Catalan dishes so you can make them at home once you return! Learn all about four of the best places to take a Barcelona cooking class to help you start planning your vacation today. This organization will help familiarize you with some of Barcelona’s essential dishes, cooking styles, and seasonal ingredients. Cook and Taste Barcelona has some skilled chefs on their staff to walk you through the tips and tricks of Catalan cooking. This is bound to be an experience that’s both engaging and educational. Put on an apron and get ready for a class that’s both fun and insightful! BCNKitchen Barcelona offers a wide range of classes to provide visitors with the opportunity to create numerous, traditional Catalan dishes and beverages. You’ll be able to prepare tapas, arroces, pasta fresca, and much more. At the end of the class, you’ll get the chance to sit down and savor the exquisite meal you’ve created! Prepare your taste buds for a day with Barcelona Cooking! They offer a variety of hands-on classes and activities to familiarize you with Catalan foods and cooking styles. One of the activities includes a tour of La Boqueria, the local food market, during which the instructors teach the participants about the produce grown nearby, as well as other ingredients needed for Catalan cooking. They’ll even show you how to pair exquisite Catalan wines with your meals! 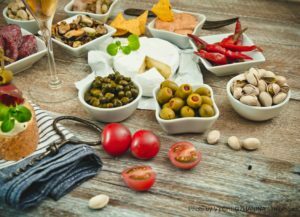 With some of the most enjoyable tapas cooking classes in town, you don’t want to skip taking lessons from Travel Bound Barcelona! They’ll also show you how to make authentic paella while you sip on some sweet sangria. These friendly chefs will walk you through every step of the process so you end up with some fantastic food at the end of the class. Complete your vacation of a lifetime by staying in the best accommodations while you’re in town experiencing the delicious cuisine of Barcelona! bizFlats Vacation Rentals provides some of the most luxurious apartments, villas, and lofts, all located throughout the most picturesque parts of the city. Choose from staying in a beautiful spot with views of the beach or right in the heart of the bustling city. Each property is equipped with the finest furnishings and amenities so you’re bound to feel right at home. Check our availability today to find the most incredible place to stay during your visit to Barcelona!